With rare access, interior designer and artist Ashley Hicks has photographed the State Rooms of Buckingham Palace, home of Britain's monarch since 1837. An important representation of Regency, Victorian, and Edwardian styles, the palace is the work of such noted architects as John Nash. Hicks's eye brings a vibrant take on the formal spaces, capturing the magnificent rooms furnished with treasures from the Royal Collection. Starting at the Grand Staircase, Hicks leads us through the opulently decorated State Rooms, which include the White Drawing Room and the Blue Drawing Room that both overlook the palace gardens; the Ballroom, which is the setting for twenty investiture ceremonies each year; and the Throne Room, used by Queen Victoria for spectacular costume balls in the 1840s. The long, skylit Picture Gallery is hung with important works of art in the Royal Collection by Rembrandt, Rubens, Poussin, van Dyck, Vermeer, and Canaletto, among others. Decorative furnishings from George IV's exotic Brighton Pavilion lend a fanciful turn to many of the rooms. 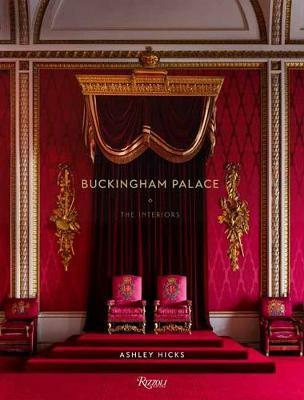 This intimate tour through the Buckingham Palace State Rooms is a necessary addition to the libraries of devotees of the royal family, English architecture, decoration, and the fine arts in general.